Ed Luttrell, National Grange president, will make a stop at the Boone County Fairgrounds, 8791 Route 76, Belvidere, Illinois, at 5 p.m. on May 24. Luttrell is on a national tour to rally 200,000 grange members to get behind legislation that supports rural broadband initiatives. According to information from the National Grange office, a recent study by the FCC on broadband adoption shows that rural America still lags behind urban and suburban communities in home, farm and small business broadband connections. Of non-adopters in rural areas, one in ten say they cannot get broadband where they live - more than double the national average. The National Grange has over 200,000 members in 2,700 communities spread over 40 states and supports farmers, ranchers, teachers, law enforcement officials, local business people and other rural leaders. 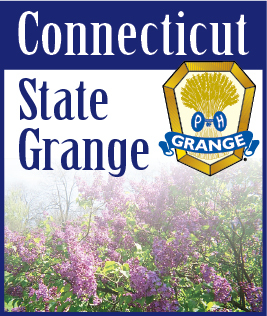 While the National Grange still supports agricultural issues, it also focuses on policy issues who aim to improve education, healthcare, rural infrastructure, environmental conservation, food safety, rural safety, and equal telecommunications access.